Well it was bound to happen, the first several issues of this event were so good, we had to have one that just was not up to the same level. The Amazing Nightcrawler while fun it falls short in so many areas. I'm not sure if because of how well Alpha, Marvelous X-Men and Next Gen were that I'm judging this one a little too harshly or it is not as amazing as it should be. Either way this is still a fun book, and those that really love Nightcrawler will enjoy a lot of it. We do still get to see the world as X-Man has created, and how having a famous movie star fits into that world. Where this book falls short is there doesn't seem to be any challenge or conflict. We just get to see a glimpse into Nightcrawler's world and that hes somber for what? I'm not really sure. I don't want to give any spoilers but I can see that this book can and will probably pick up but I wanted some of that in this issue. They could have given us a big cliffhanger to get us to excited for the next story, but instead we do get a cliffhanger it's just not nearly as compelling as I would have liked. That being said the story was still fun, Nightcrawler was written very in character and I enjoyed seeing his playfulness again. 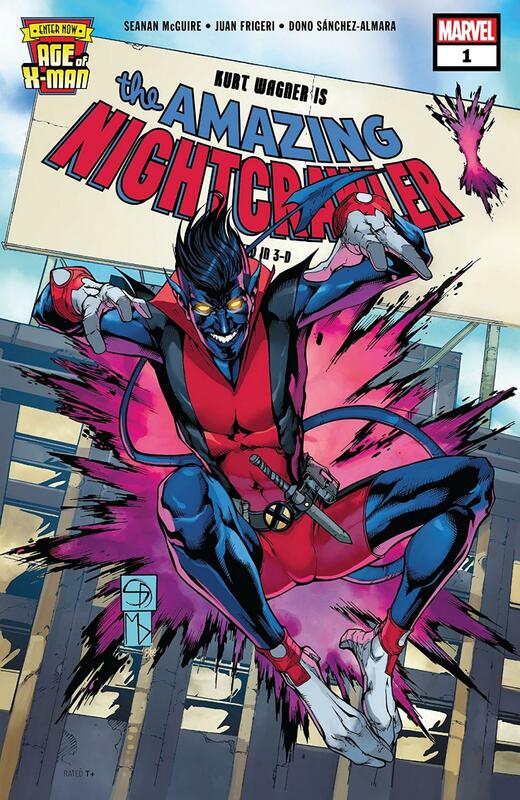 This is more the Nightcrawler I loved from years ago and it is nice to see him back. I just hope that this story kicks in and does this playful Nightcrawler justice. Overall this is the first weak issue in the Age of X-Man but even being the weakest it's still a great fun issue and i still recommend checking it out. This mini-series may need another issue or two to fully get going, but I still have faith that it wont disappoint.